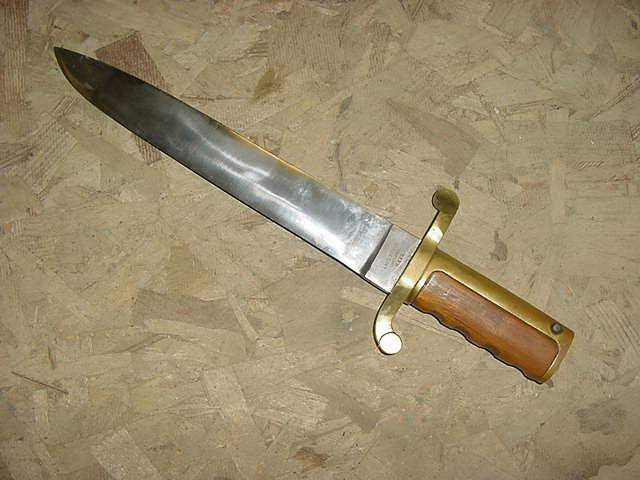 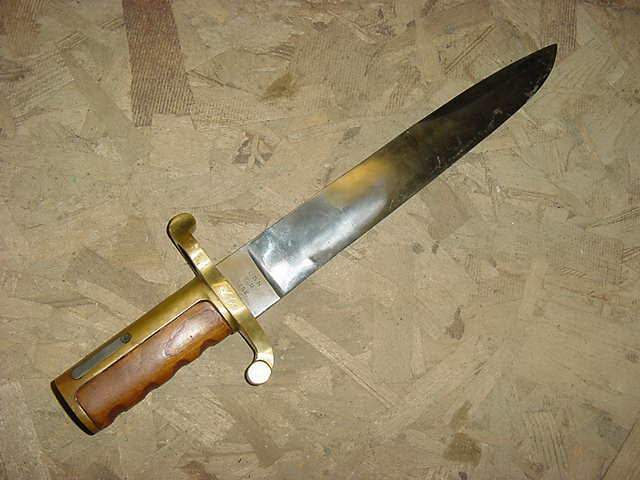 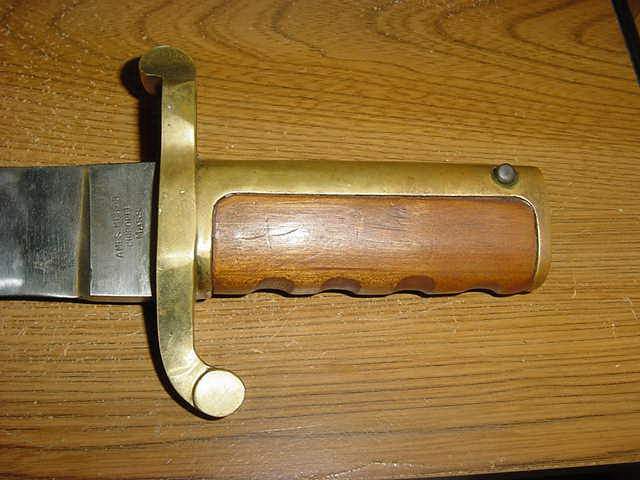 This is a fake/reproduction DAHLGREN BOWIE BAYONET. 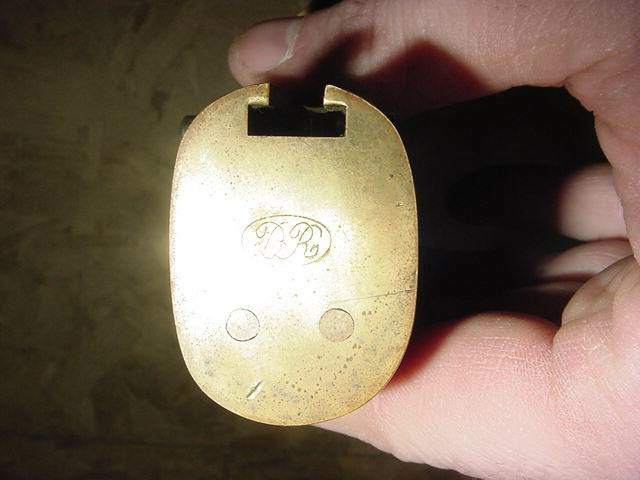 .These are well made so you have to look closely to not be fooled. 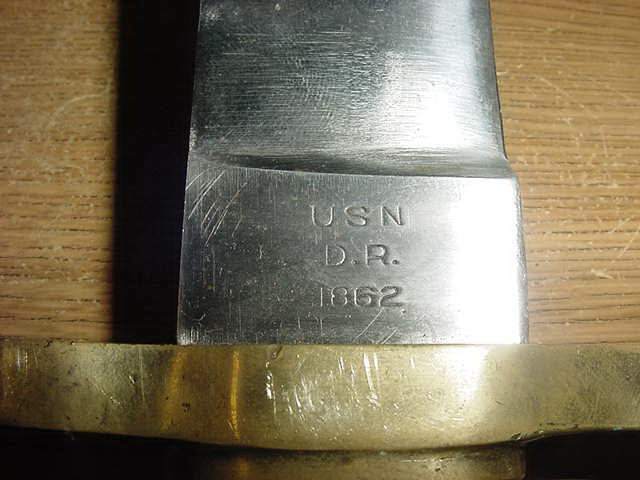 The key is the markings on the blade, not the pommel. 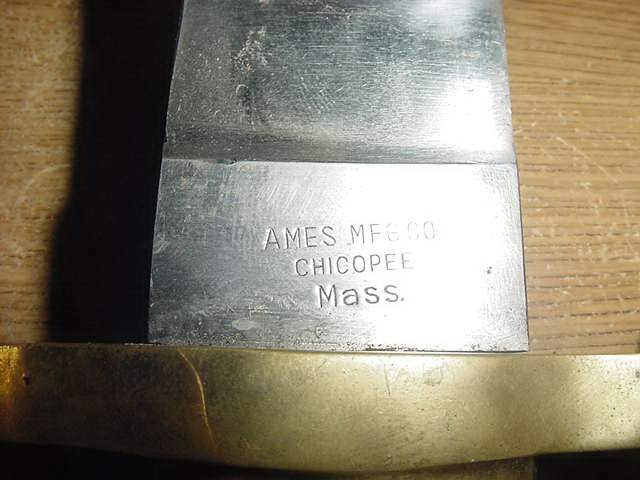 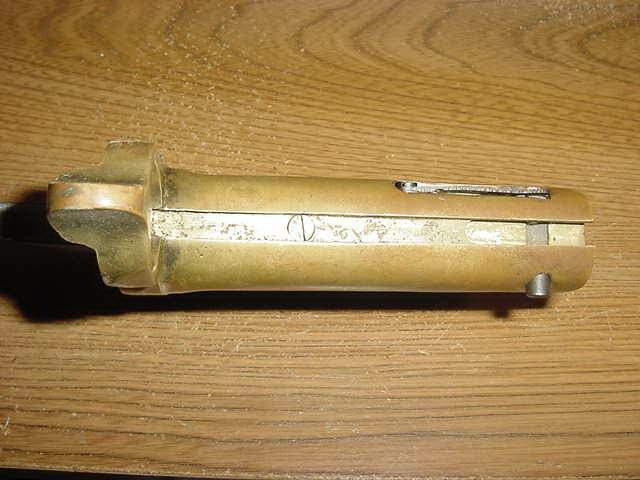 The Ames and inspection marks do not conform to the style use during the Civil War. 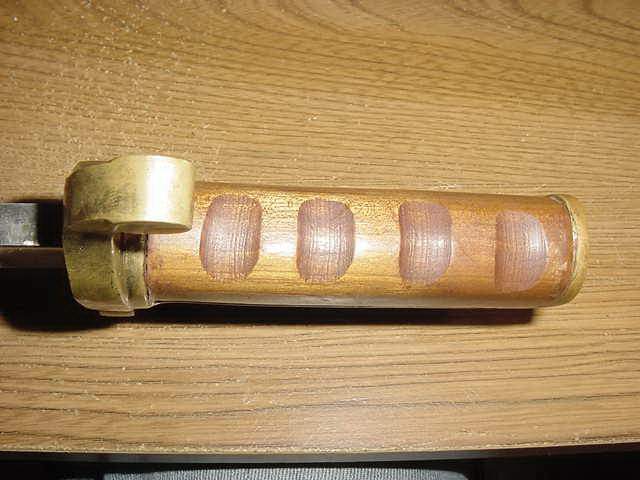 Also,the spring retain screw on the fake is flate where the real one is rounded. 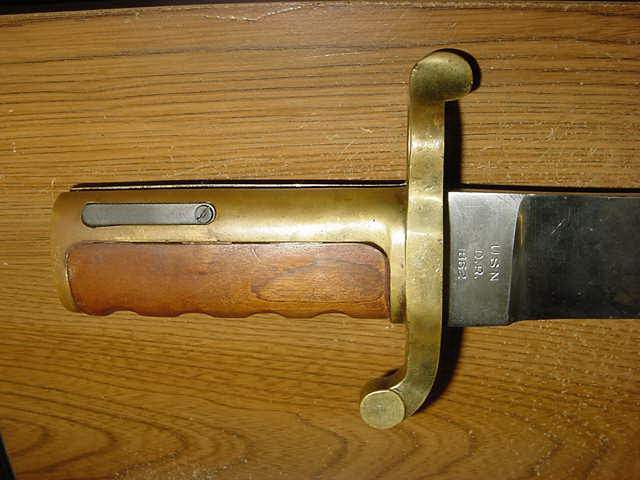 Compair the photos with the real one posted below.